There's so much to know about Cardano, but the goal of this write up is to break it down in the most simplest way possible. Hopefully, this helps a little bit. Okay, enough chit-chat, let's get to it. Cardano is a blockchain protocol that is built on scientific philosophy and peer-reviewed academic research. It was conceptualized by Charles Hoskinson, CEO of IOHK & co-founder of Ethereum. It is being built with high assurance software standards using the Haskell programming language & Plutus for Sidechains (Functional Programming). Cardano has a large international team made up of three organizations. The three organizations are IOHK, Cardano Foundation and Emurgo. 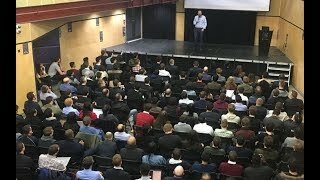 IOHK is a "research and development company committed to using the peer-to-peer innovations of blockchain to build accessible financial services for all." It is extremely important to note that they have been contracted to build, design, and maintain Cardano until atleast 2020. Much of IOHK's funding comes from a 5 year contract with Emurgo. 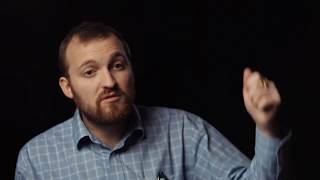 The Cardano Foundation is a not-for-profit regulated entity that is the custodial organization of Cardano. Their purpose is to drive adoption, grow the community, shape legislation / commercial standards, facilitate partnerships, and ensure stakeholder accountablity. Emurgo is a Japanese company that "develops & supports ventures that want to revolutionize their industries using blockchain technology. In late 2018, there were a few issues with The Cardano Foundation not handling all of their duties. The issue was officially addressed by the other 2 organizations after many attempts to get the duties fulfilled. The situation got tense, but after a brief period, the appropriate people were removed. Read about it more here. Now Cardano is moving full steam ahead and the overall outlook is as positive as ever. To get a better idea of the true current structure of everything Cardano, please take a look at the following interactive board made my Tuan_Luam & rjmcoin from the Cardano Forum. This interactive board will continue to grow as Cardano continues to grow. Cardano's approach is very different from it's competitors. The major difference is that every major milestone of Cardano goes through peer-reviewed academic research. I know you're asking, "What does that really even mean"? It means that development on major milestones don't even begin until every phase has been planned /researched, written, submitted to experts, scrutinized and approved & published. This is a long process, but it verifies that every thing has been well planned and thought out. Meanwhile, many other projects in this space are composed of random developers that just write what they feel for the day. No research, just freestyling it as they go along. Think about this. There are 3 major obstacles that Cardano wants to address that will make them closer to success as a 3rd Generation Blockchain. Scalability: It is important to note that scalability has remained one of the largest issues in the crypto space. 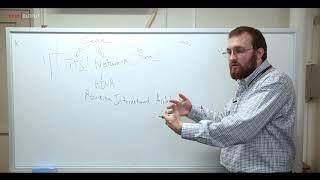 Scalability can be broken down into transactions per second, network, and data scaling. Cardano hopes to handle these issues with their proof-of-stake algorithm, Ouroboros, as well as sidechains. **At the end of 2018, Cardano published a White Paper titled "Proof-of-Stake Sidechains", which is a significant accomplishment, as it proves their their concept is possible. This is huge. Interoperability: Currently, the most popular way for one cryptocurrency to flow into another one is through the use of exchanges. As we all know, exchanges are not 100% safe. They can be hacked, go through legal issues, go ghost on you, stop answering your calls.. all of that. That's why Cardano wants to create an ecosystem where each individual blockchain can seamlessly communicate with another blockchain. Once again, this is where sidechains play a major role. Through the use of sidechains, Cardano foresees an "internet of blockchains" where they can communicate with each other and coexist for the greater good. Sustainability: With many other coins, one of the biggest problems has been overall sustainability. How does a growing platform in such a new industry remain self-sustainable in a decentralized way? In the past, coins have relied on patronage or ICOs to get a sudden bag of money. This is a great temporary solution, but the system needs to be able to take care of itself. Imagine an athlete turning Pro, that has no idea about money management. They all of a sudden get a large sum of $, and they think they're rich for life. Within a couple of years, they're not making what they once were, and they spent it all on parties, vacations, mansions, boats, etc. This isn't good. This means they didn't setup a system of sustainability to keep that lifestyle going. This is why Cardano is looking towards creating a Treasury. The proposed system is that every time a block is added, a portion of that block reward will be added to the treasury. Later, when someone wants to develop and bring enhancements to the ecosystem, they submit a ballot to the treasury to ask for the necessary grants.The Cardano stakeholders then have the opportunity to vote (liquid democracy) to decide if the ballot should be granted or not. If the vote is passed, the ballot submitter gets the grant for that particular project. The advantage of this is that the treasury keeps on piling up as more and more blocks are discovered. The bigger the network, the more resources are available to help develop the system! This creates a perfectly decentralized & self-sustaining platform that will exponentially grow based on size and usage. Byron (completed): Mainnet launch - Enables users to trade and transfer ADA. Goguen: Integration of Smart Contracts (Plutus). Basho: Centered around performance improvements. Voltaire: IOHK will add a treasury system and governance. Take a look at the Roadmap for the detailed project progress & plan.